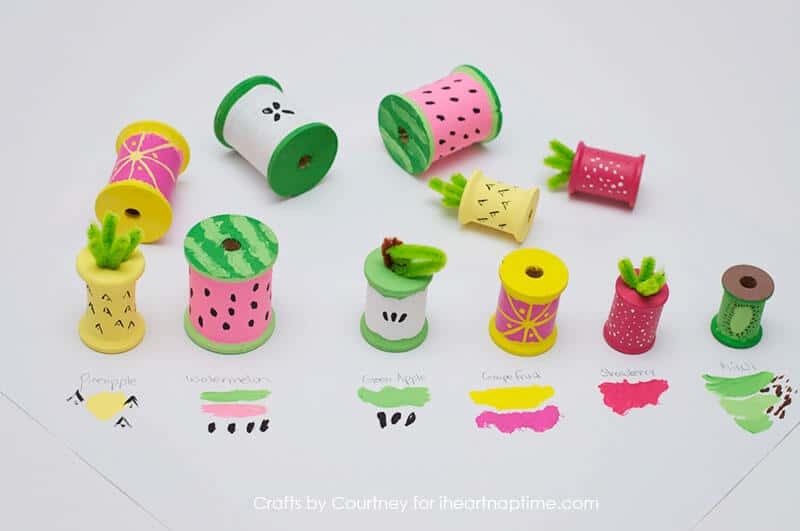 Hi everyone, it’s Courtney with Crafts by Courtney. 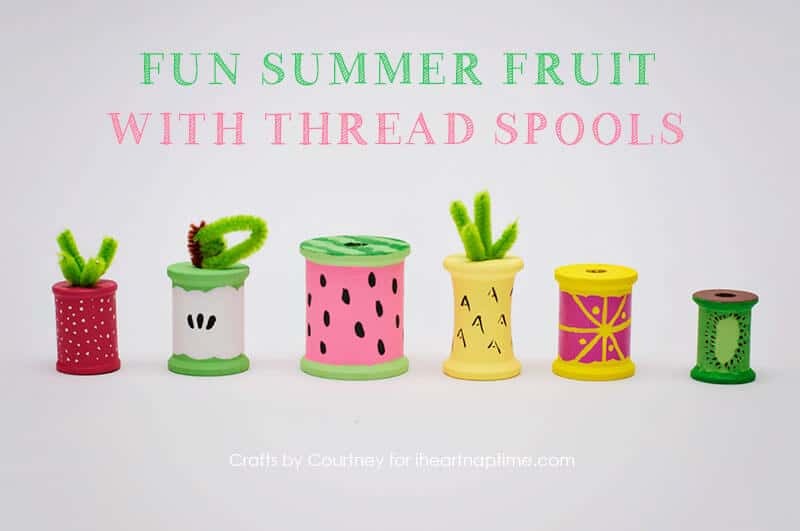 Today I’m sharing some fun Summer fruits using Thread Spools! 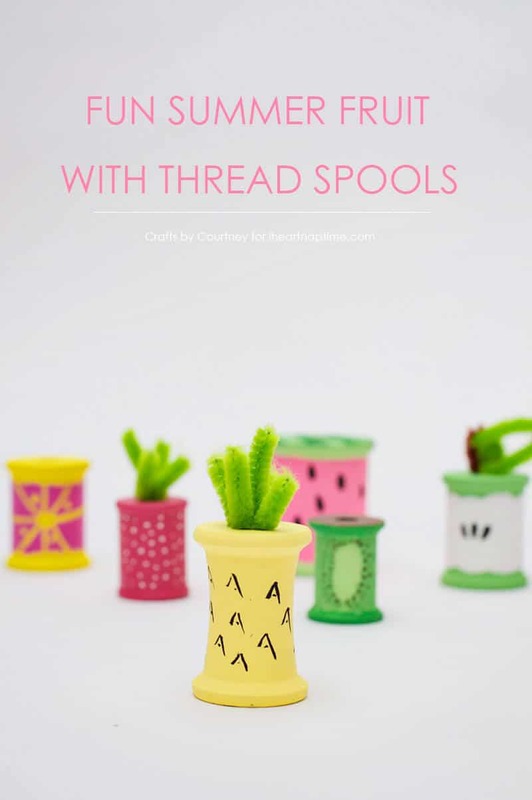 Like I said already, I have a TON of thread spools. My parents moved into a new house and in the basement my mom found a BIG bag full of them. Since I’m the crafter…she handed them over to me. YAY! I rounded up my paints and paint brushes to begin! 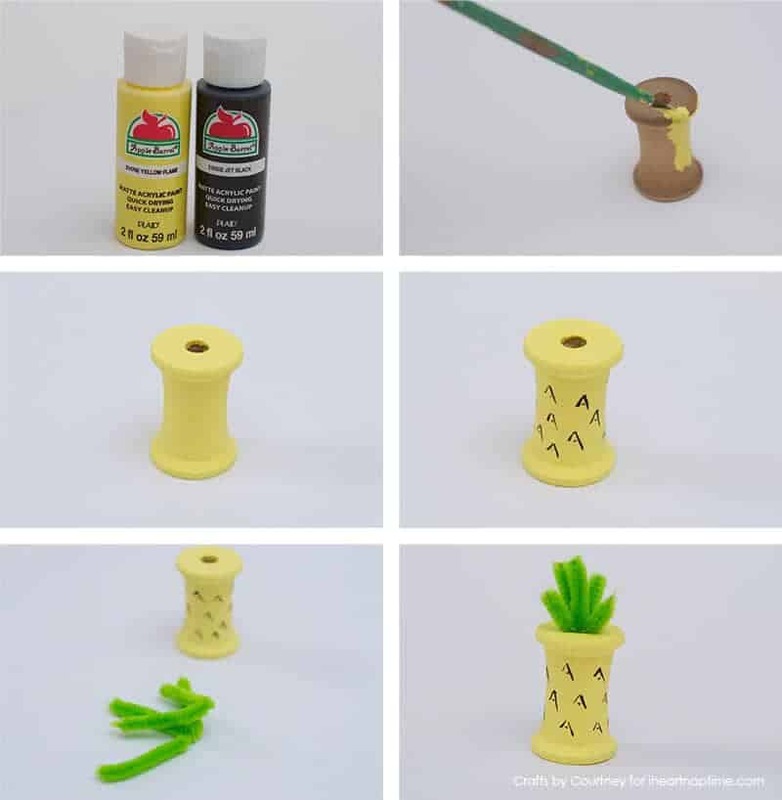 I started off by painting my thread spool a pretty yellow for my pineapple. Once it dried, then I went over with a thin paint brush to add my texture. Finally, I cut some green pipe cleaners to add the top of my pineapple. For my watermelon, I painted the edges a very light green and then added a darker green to the top. I really wanted the top to look like a watermelon so I added some “squiggly” lines to the top with the lighter green. I think it really gives the look of a watermelon, don’t you?? To finish up, I added my super bright pink to the center and finished it off with my seeds. Voila, an adorable watermelon! Next I made an awesome strawberry. I didn’t want it dark red, so I added a little pink to the paint for a perfect punchy color. Then, I used a thin brush to paint on my tiny seeds in white. Finally, I added a few pipe cleaners on top to finish my look. Now this is a sweet strawberry if I do say so myself! Who doesn’t LOVE a green apple?? I totally had to add one to my fun Summer fruits. I used a lighter green, then painted on my white in the center. Don’t forget to add your seeds! 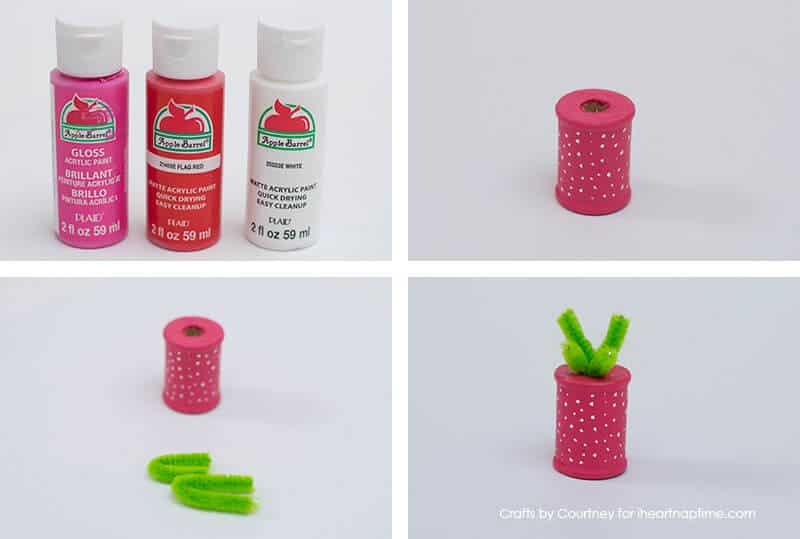 Use some brown and green pipe cleaners for your apple steam. This apple looks yummy enough to eat! Of course I had to add a grapefruit to my list of Summer fruits! The colors alone are just perfect. It took me awhile to figure out exactly how I was going to make it. 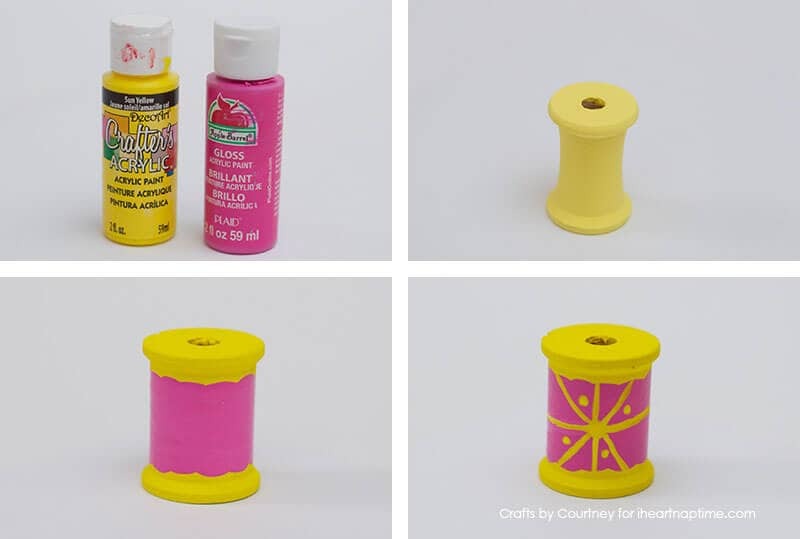 I started off by painting the thread spool yellow, then the center a pretty pink. Finally, I decided to make it look like the grapefruit was cut open and added some seeds. Gotta’ love the bright colors of this Summer fruit! The last fruit I decided on was a kiwi. I think it’s a staple of summer fruits, don’t you? The Kiwi had several layers of green, and a touch of brown on the outside. I made sure to paint the inside a light and dark green with brown on the top. 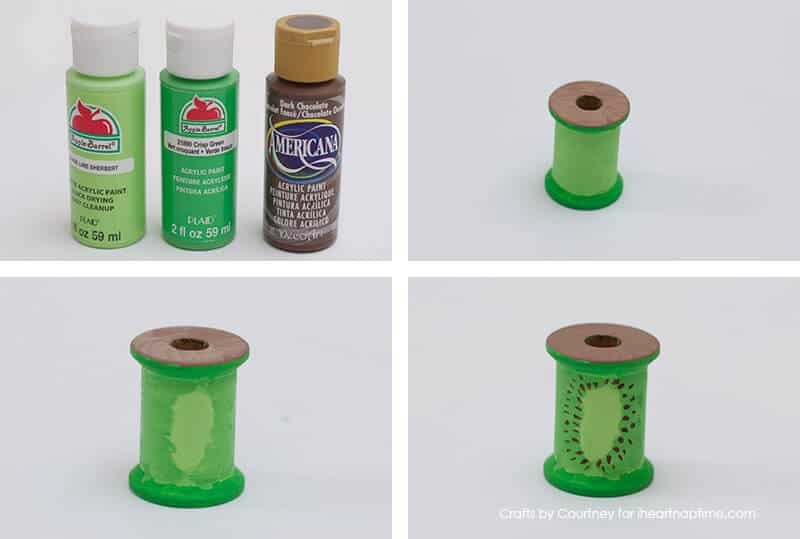 Then, I used the lightest green I had and painted the center spot and added my brown seeds to the center. I think this looks pretty close to a real kiwi! After I finished painting my fruit, I was ready to let the kids have some fun with them. 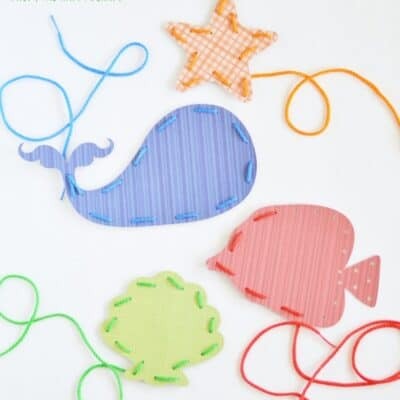 I think this would be a perfect craft for the kids during the Summer. I know my boys just love kids crafts. 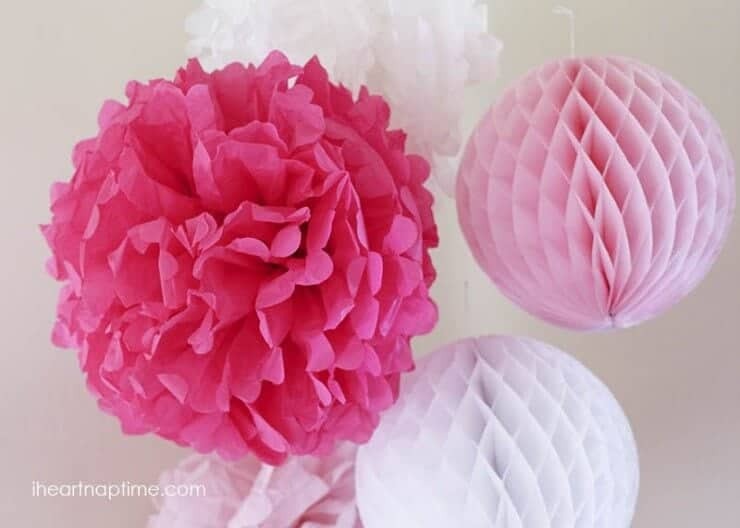 They are so bright, colorful and really easy to make too! 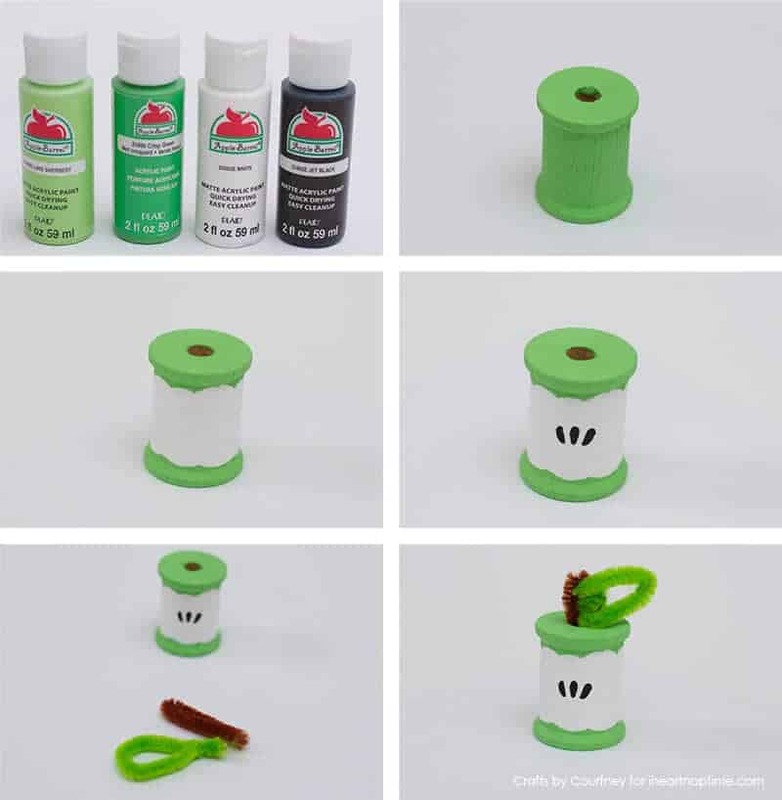 If you don’t have wooden thread spools, they sell them at the craft stores. You can get a bag of them for about $4.00. Plus most craft stores have awesome 40% off coupons you can use! 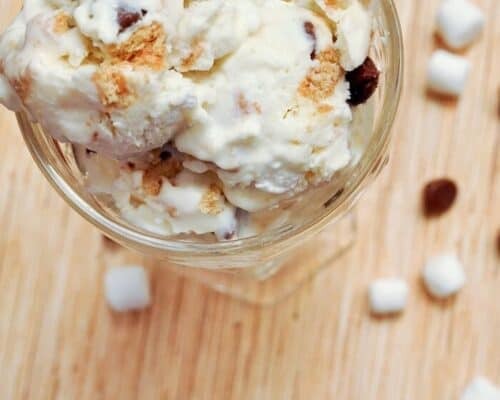 I hope this is a craft you can add to your Summer bucket list for the kids…or even yourself! 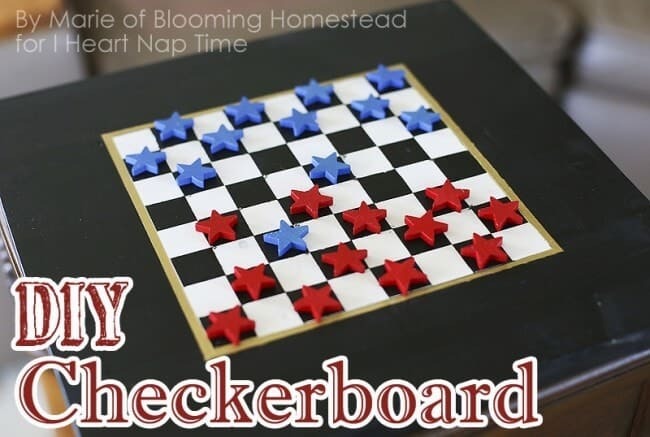 I was thinking it would be fun to make several of the pineapples and strawberries (and use them to make a tic tac toe game). 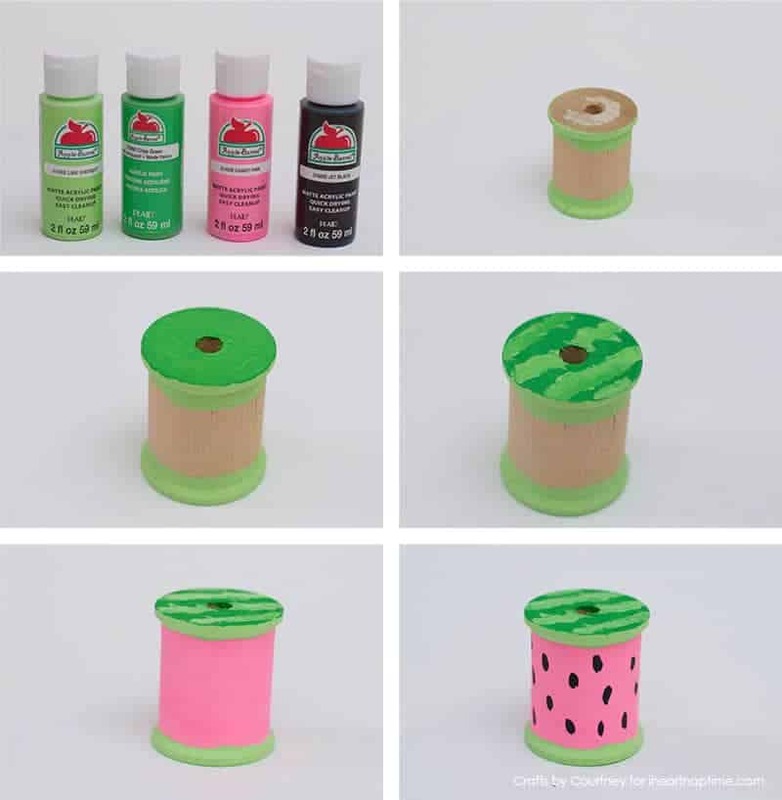 Hey I think I might have just thought of another Summer craft project!! 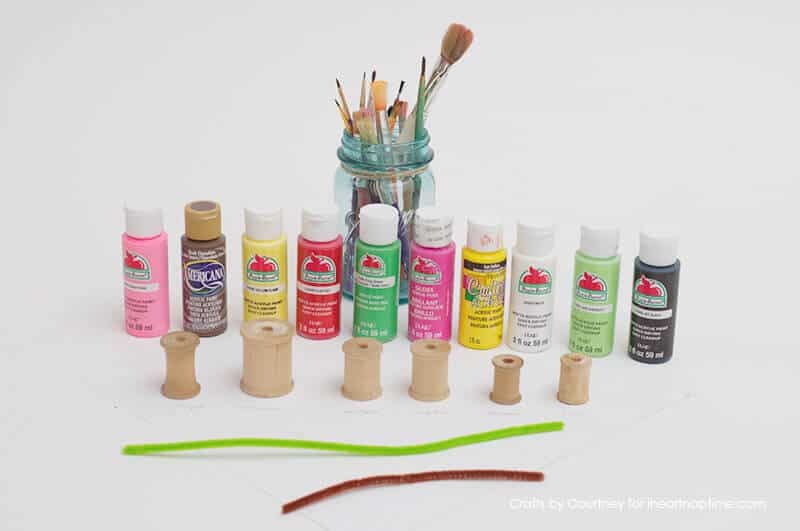 See a crafter’s mind NEVER stops. 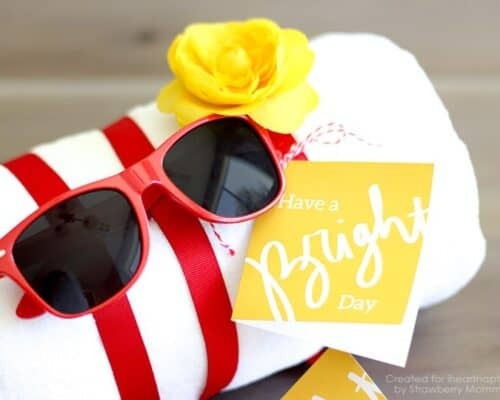 I hope you give this craft a try and have a fantastic Summer! 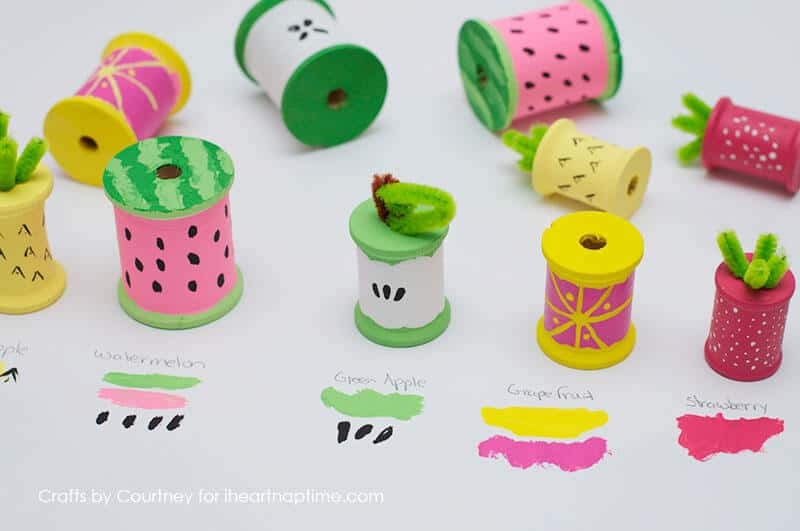 Huge THANKS to Courtney for sharing this fun craft during our Hello Summer Event! 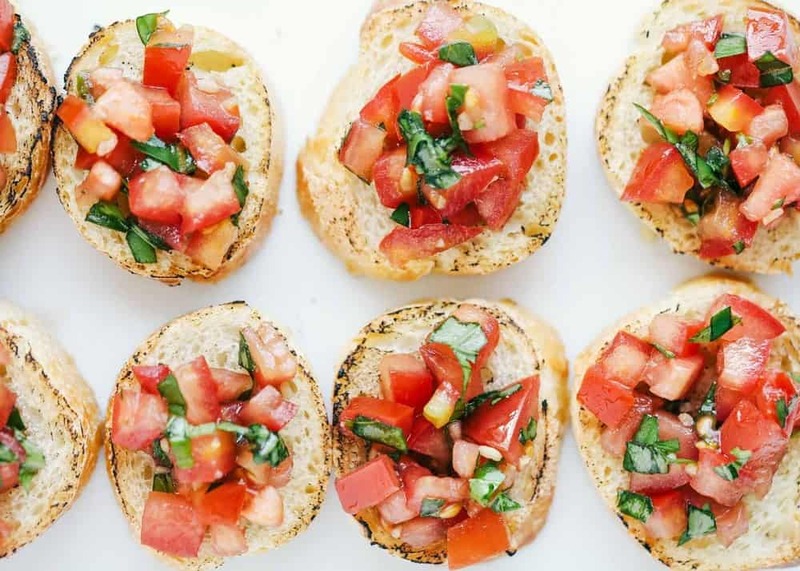 Click HERE to see more ideas from the event. 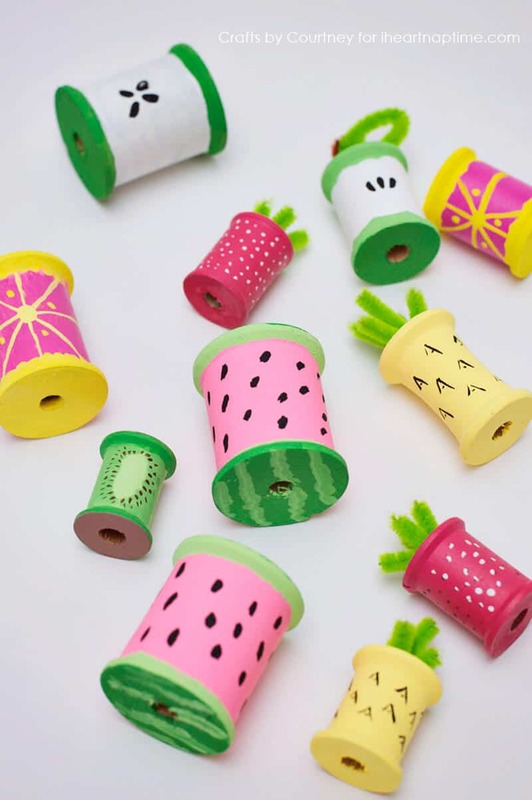 These are super fun and cute! Great idea! Cool gonna try it out!